Head coach Maurizio Sarri says he has not spoken to Chelsea owner Roman Abramovich since the humiliating loss at Manchester City. 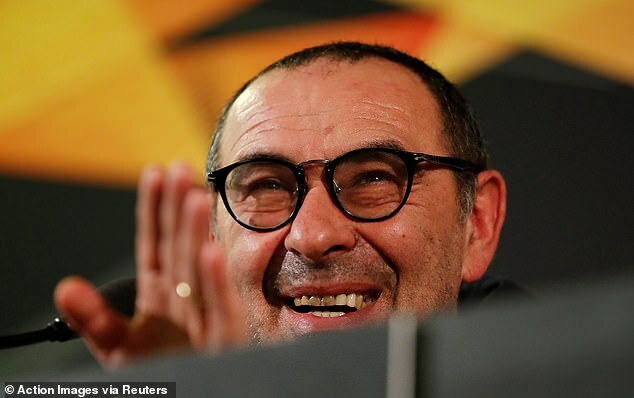 Sarri’s job potentially rests on Chelsea’s Europa League tie with Malmo as the competition is now seen as a realistic route into the Champions League. Abramovich wants to be back among Europe’s elite clubs but the Blues fear missing out on a top-four finish in the Premier League. Ahead of Thursday’s Europa League last-32 first leg at Malmo in Sweden, Sarri revealed the pair have not been in touch. ‘No, not this week – not in the last three weeks,’ he said. ‘It depends on the president, I think. I didn’t say never. The interview was Italian and in Italian I am better than you. 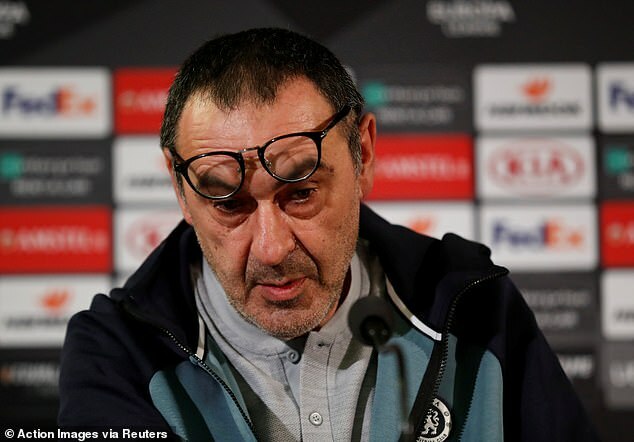 Sarri says Chelsea have endured difficult days since Sunday’s 6-0 loss at City. 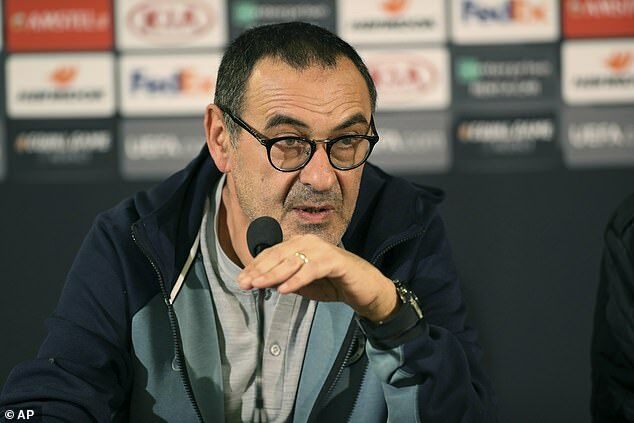 In his pre-match press conference, Sarri spoke of his desire for a reaction to the Blues’ worst loss in almost 28 years. Sarri said: ‘Not too easy, of course. After a match like Manchester City it’s normal. ‘It’s not easy to play tomorrow after 6-0 but we have to play and we have to play well. A long dressing room debrief followed the 4-0 loss at Bournemouth and another followed at Chelsea’s training ground earlier this week. Sarri has rested left back Marcos Alonso, whose form has dipped of late, while midfielder Ruben Loftus-Cheek is out with a recurrence of his back problem.